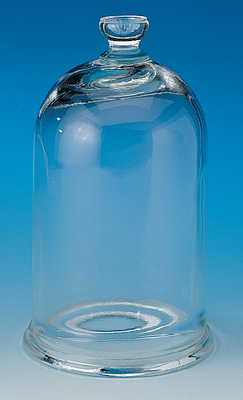 This bell jar is made with heavy-duty flint glass. It has a thick top to ensure a tight fit. It also has a ground base flange.